We booked Bay of Bengal as we wanted to treat ourselves to luxurious paradise beach holidays. We stayed in this hotel from 2nd to 10th of February 2014 (8 nites in total) and we paid 816EUR. This included breakfast. 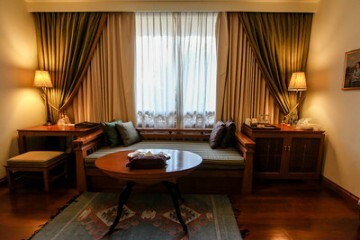 We have stayed in Deluxe Garden View Room which is the cheapest option offered by the hotel. The room however was the nicest neither of us have ever stayed in. 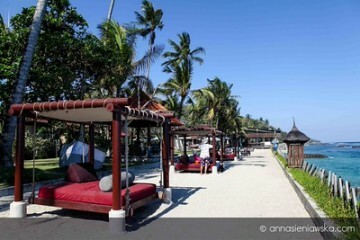 This resort is located at the end of 15km long white sandy beach. The resort is nicely spaced out which means that guests of 64 rooms does not feel crowded. There is always a room next to the swimming pool or on the beach. Hotel grounds are beautiful and very well maintained.Swimming pool is stunning. We would stay again. Alex Watson on Hello from Koh Samui! romo on Hello from Koh Samui!